ArborEarth is a fun family festival! As the original home of Dr. Frances Bartlett, 'the father of arboriculture,' the Bartlett Arboretum & Gardens is the perfect location to welcome guests in celebration of Arbor Day and Earth Day. Families will enjoy listening to music, touring the Bartlett's gardens and greenhouse, viewing tree climbing and planting demonstrations and visiting our booths to learn about gardening, nature, conservation, and sustainability. Kids will also love learning about backyard critters and pollinators, face painting, composting, riding in a cherry picker, and crafting. Click here for the exciting fun-filled agenda for the day! Members FREE. Please click here if you are interested to learn about membership and benefits. Non Members and ages 13 and up - $5 charge. Please click here to pre-purchase your tickets. Tickets can also be bought at the event. TD Bank: For sponsoring our event. LaRocca’s Country Market: For delicious lunches, of which all proceeds go to the Bartlett Arboretum & Gardens. Bartlett Tree Experts: For their dedicated expertise and resources that help make the Arboretum bloom. StamfordMom.com: For helping us spread the word about our festival to the Fairfield County community! 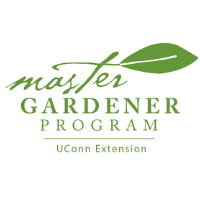 UConn Extension Master Gardeners: For participating in the event and helping to educate!